The Re-Ply reclining chair uses a patent-pending molding technique to shape four plys of cardboard into a strong comfortable shell. 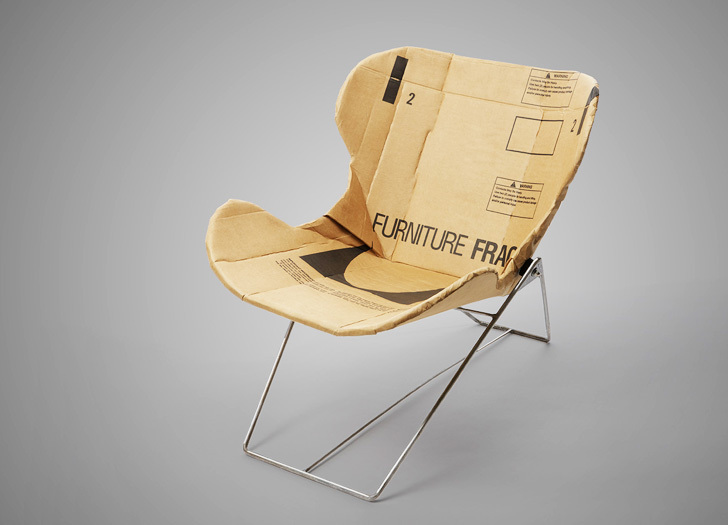 Not only does the re-ply use cardboard in a way never done before, its formal characteristics are unique for a reclining chair of any material. The chair has a very low environmental impact as well, because it is made primarily from upcycled cardboard, uses minimal hardware and can be completely recycled. The Re-Ply is planned for production and has just launched on Kickstarter.